ZOEVA’s high-performing brushes not only look beautiful, but also are considered among the best in the business, enabling you to blend and buff like a pro. Plus, each brush has its name written down the side, so there’s no head scratching as to what it’s meant for (hurrah!). 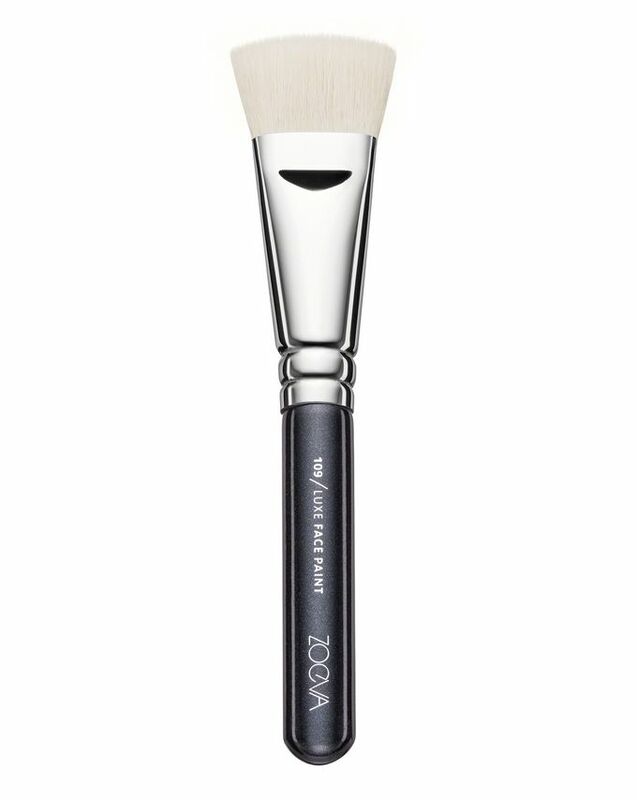 Their Luxe Face Paint Brush (109) is perfect for contouring and sculpting the face shape, as well as blending your foundation along your jawline. This exquisite brush has densely packed bristles and a square shape brush head, allowing you to create a chiselled jawline and cheekbones using contour pigment. The design features a wooden handle, metal ferrule and a natural-synthetic bristle blend and is available in classic black and rose golden designs. ZOEVA’s collection of brushes are beloved by professionals and make up devotees alike, each one delivering a flawless finish so you can boss even the trickiest of make up techniques. Contour your face with contour powder by placing the brush at the center of the ear, guide towards the tip of the nose and stop shortly before the corner of the eye. Lightly whisk the color remaining on the brush under the chin and on the hairline. Blend everything softly to a flawless finish. If you want Chiseled Cheekbones this brush is a must-have! Sometimes I want a soft contour and sometimes I just want my face to look snatched, and this brush is perfect for that! The brush is very soft so you can easily blend everything out and it is perfectly shaped so you can get right under your cheekbones and precisely apply your contour powder. It works great with cream contour as well.